The latest version of Sitelink includes a newly redesigned web portal that features a consumption-based "Service Point" investment model. "We are introducing a completely new way to service our customers that allows them to take advantage of a pay-as-you-go account-based system rather than year-long pre-paid subscription-based plans," said Murray Lodge, senior VP, Construction. "With no expiration date on the Service Points, contractors can be assured their investment will be protected in their personal account and allocated when it best suits their needs." Also, new to the service includes remote configuration functionality in Support Desk. It allows Topcon support personnel to directly access and configure receiver components on connected machines, while simultaneously retaining an active remote session of the 3D-MC machine control software. "We have made support more efficient with less downtime for operators with our team having the ability to go straight into the configuration settings for receivers and make adjustments, minimizing work stoppage on the site," said Lodge. 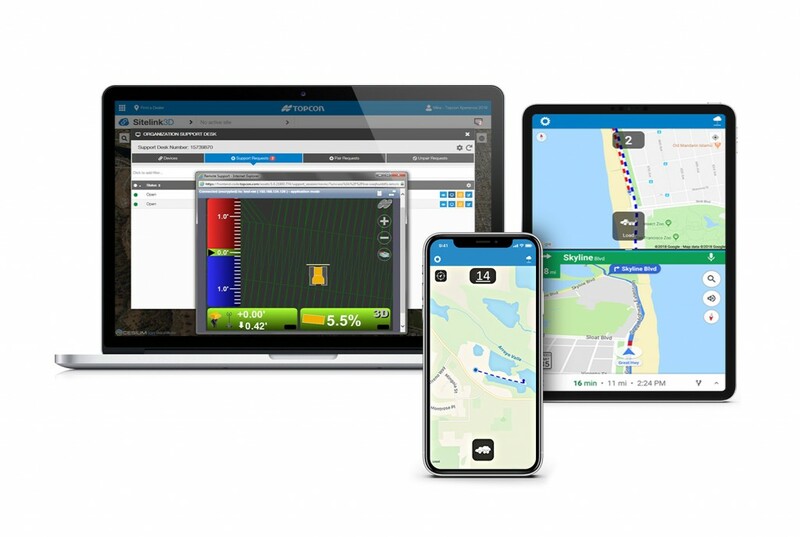 The latest version also includes a new Topcon Haul Truck application, which utilizes an Android or iOS app that can be installed on a phone or tablet. It is designed to provide a complete and easy-to-use cloud-based, haul management and reporting system with real-time visibility. "The new Haul Truck app provides productivity statistics for each haul, including the counts, average distances and the time it takes to complete the process — all within a geofenced pickup site and unloading zone. It is simple to use — drivers come onto the site, quickly enter basic info and get to work. With 3D map imagery, operators can view where the load is being picked up and the path it takes to unload and return, and it automatically records for reporting," said Lodge.